High blood pressure —also known as hypertension— is common, but treatment often fails, and one in 5 people with hypertension does not respond to therapy. This is frequently due to inadequate diagnosis, as Franz Weber and Manfred Anlauf point out in the current issue of Deutsches Ärzteblatt International (Dtsch Arztebl Int 2014; 111: 425-31). If a patient’s blood pressure is not controlled by treatment, this can be due to a number of reasons. Often it is the medication the patient is on. Some patients may be taking other medicines – in addition to their antihypertensive therapy – which increase blood pressure as a side effect. 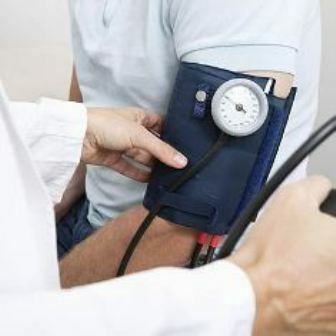 In these cases, the treatment of the high blood pressure appears to be ineffective, but all that would be needed is some adjustment to the medication regimen. Then there is diet. Licorice, for example, does increase blood pressure; so eating too much of it may reduce the effect of the antihypertensive therapy. Likewise, salt-sensitive patients may increase their blood pressure by eating salt; thus they have to keep this in mind when seasoning their dishes.Besides drugs and food, certain symptoms may interfere with antihypertensive therapy. 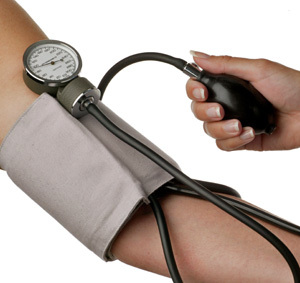 Once the underlying condition has been successfully treated, blood pressure control does often improve. An example for this is the sleep apnea syndrome: Apart from sleep problems and fatigue, it makes high blood pressure worse. Here, most patients find their blood pressure improved with targeted treatment of the apnea and quite often the antihypertensive medication can be reduced. Thus rigorous diagnostic evaluation is key to a successful treatment of hypertension. In their current study the authors expect that with this approach almost half of the cases classified as treatment-resistant hypertension could be treated. This entry was posted in Medical News. The rates of autism continue to rise. According to the most recent statistics from the Centers for Disease Control and Prevention (CDC), approximately 1 in 68 children have been identified as having autism spectrum disorder (ASD) in the United States. The new statistics represent a 30 percent increase from the 2012 estimates of 1 in 88 children with ASD. “Community leaders, health professionals, educators and childcare providers should use these data to ensure children with ASD are identified as early as possible and connected to the services they need,” Coleen Boyle, director of CDC’s National Center on Birth Defects and Developmental Disabilities, said in a press release. The findings were reported Thursday in the CDC’s Morbidity and Mortality Weekly Report. To get their statistics, researchers utilized community records regarding diagnoses, treatment and services provided to children with disabilities. The report also found that rates varied widely between communities, ranging from 1 in 175 children in Alabama to 1 in 45 children in New Jersey. Additionally, the condition continues to affect more boys than girls: 1 in 42 versus 1 in 189 respectively. Given this sharp increase in ASD incidence, CDC officials are urging parents to have their children screened for developmental delays as soon as possible. Dr. Manny Alvarez, senior managing health editor for FoxNews.com, said these numbers are shocking and are an indication of a major public health issue. People who develop diabetes and high blood pressure in middle age are more likely to have brain cell loss and other damage to the brain, as well as problems with memory and thinking skills, than people who never have diabetes or high blood pressure or who develop it in old age. This is according to a new study published in the March 19, 2014, online issue of Neurology. Middle age was defined as age 40 to 64 and old age as age 65 and older. “Potentially, if we can prevent or control diabetes and high blood pressure in middle age, we can prevent or delay the brain damage that occurs decades later and leads to memory and thinking problems and dementia,” says study author and Mayo Clinic epidemiologist Rosebud Roberts M.B., Ch.B. 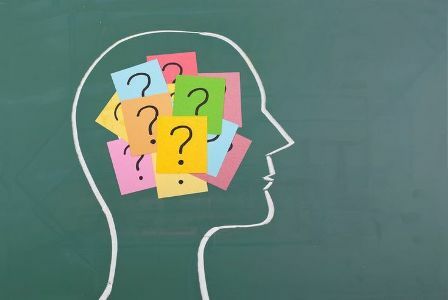 For the study, the thinking and memory skills of 1,437 people with an average age of 80 were evaluated. The participants had either no thinking or memory problems or mild memory and thinking problems called mild cognitive impairment. They then had brain scans to look for markers of brain damage that can be a precursor to dementia. Participants’ medical records were reviewed to determine whether they had been diagnosed with diabetes or high blood pressure in middle age or later. For diabetes, 72 people developed it in middle age, 142 in old age and 1,192 did not have diabetes. For high blood pressure, 449 people developed it in middle age, 448 in old age and 369 did not have it. Compared to people who did not have diabetes, people who developed diabetes in middle age had a total brain volume average of 2.9 percent smaller. In the hippocampus area of the brain, the volume was 4 percent smaller. They also were twice as likely to have thinking and memory problems. Compared to people who did not have high blood pressure, people who developed high blood pressure in middle age were twice as likely to have areas of brain damage. The study was supported by the National Institute on Aging, Robert H. and Clarice Smith and Abigail Van Buren Alzheimer’s Disease Research Program, Rochester Epidemiology Project, National Institutes of Health, Robert Wood Johnson Foundation and European Union Regional Development Fund. 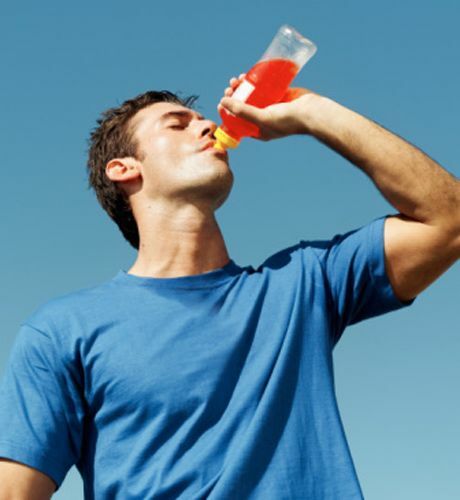 This entry was posted in Medical News and tagged diabetes, Diabetes Essential, High Blood Pressure. This entry was posted in Medical News and tagged 11 Intelligence, Killing Foods, memory, Sugary Products. A molecular substance found naturally in humans and rats can ‘substantially reduce’ brain damage after an acute stroke and help in better recovery, says a new animal study by researchers at Henry Ford Hospital. The study, published online before print in Stroke, the journal of the American Heart Association, was the first ever to show that the peptide AcSDKP provides neurological protection when administered one to four hours after the onset of an ischemic stroke. 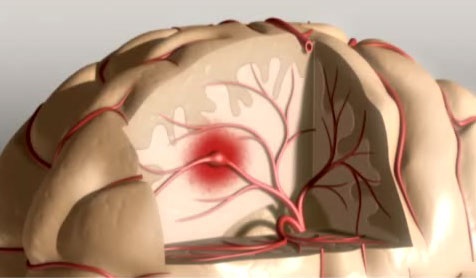 This type of a stroke occurs when an artery to the brain is blocked by a blood clot, cutting off oxygen and killing brain tissue with crippling or fatal results. Commonly called a “clot-buster,” tPA, or tissue plasminogen activator , is the only FDA-approved treatment for acute stroke. However, tPA must be given shortly after the onset of stroke to provide the best results. It also has the potential to cause a brain hemorrhage. The Henry Ford study found that this narrow “therapeutic window” is extended for up to four hours after stroke and the therapeutic benefit of tPA is amplified when tPA is combined with AcSDKP. Further, the researchers discovered that AcSDKP alone is an effective treatment if given up to one hour after the brain attack. The researchers tested the actions of both substances on laboratory rats in which acute stroke had been induced. It was already known that the peptide AcSDKP provides anti-inflammatory effects and helps protect the heart when used to treat a variety of cardiovascular diseases. The Henry Ford scientists reasoned that the peptide may have similar neurological benefits. Significantly, they found that AcSDKP can readily cross the so-called “blood brain barrier” that blocks other neuroprotective substances. A battery of behavioral tests was given to the lab rats both before and after stroke was induced to measure the effects of AcSDKP administered alone one hour after onset and combined with tPA four hours after stroke. Besides finding that both methods “robustly” decreased neurological damage associated with stroke, they did so without increasing the incidence of brain hemorrhage or the formation of additional blood clots. “With the increased use of clot-busting therapy in patients with acute stroke, both the safety and effectiveness of the combined treatment shown in our study should encourage the development of clinical trials of AcSDKP with tPA,” Dr. Zhang says. This entry was posted in Medical News and tagged Fighting Brain, Humans, Naturally. The findings, published in a paper in the BritishJournal of Ophthalmology, could shed new light on glaucoma, a devastating disease caused bydefective drainage of fluid from the eye and the world’s second leading cause of blindness. The latest research shows that the new layer, dubbed Dua’s Layer after the academic ProfessorHarminder Dua who discovered it, makes an important contribution to the sieve-like meshwork, thetrabecular meshwork (TM), in the periphery of the cornea. The TM is a wedge-shaped bandof tissue that extends along the circumference of the angle of the anterior chamber of the eye.It is made of beams of collagen wrapped in a basement membrane to which trabecular cells andendothelial cells attach. The beams branch out randomly to form a ‘meshwork’. Pressurewithin the eye is maintained by the balance of aqueous fluid production by eye tissue called theciliary body and drainage principally through the TM to the canal of Schlemm, a circular channelin the angle of the eye. Defective drainage through the TM is an important cause ofglaucoma, a condition that leads to raised pressure in the eye that can permanently affectsight. Around 1 to 2% of the world’s population yearly have chronic glaucoma and globally around45 million people have open angle glaucoma which can permanently damage the optic nerve — 10% ofwhom are blind. The latest research by Professor Dua and colleagues in AcademicOphthalmology at The University of Nottingham sheds new light on the basic anatomy of Dua’sLayer, which is just 15 microns thick but incredibly tough. Comprised of thin plates ofcollagen, it sits at the back of the cornea between the corneal stroma and Descemet’smembrane. By examining human donor eyes using electron microscopy, the researchers wereable to look at Dua’s Layer beyond the central part of the cornea to shed more light on itsfeatures at the extreme periphery of the cornea. They discovered that the collagen fibres ofDua’s Layer also branch out to form a meshwork and that the core of TM is in fact an extensionof Dua’s Layer. It is hoped the discovery will offer new clues on why the drainage systemmalfunctions in the eyes of some people, leading to high pressure. 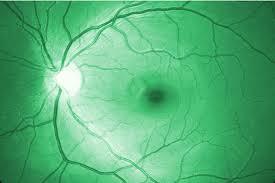 This entry was posted in Medical News and tagged Glaucoma, New Eye Layer, research news.